Just posted a rather lengthy piece on how AI 'reads' a battlefield. Not sure I follow everything, but think I understand the general approach. I do have one question. 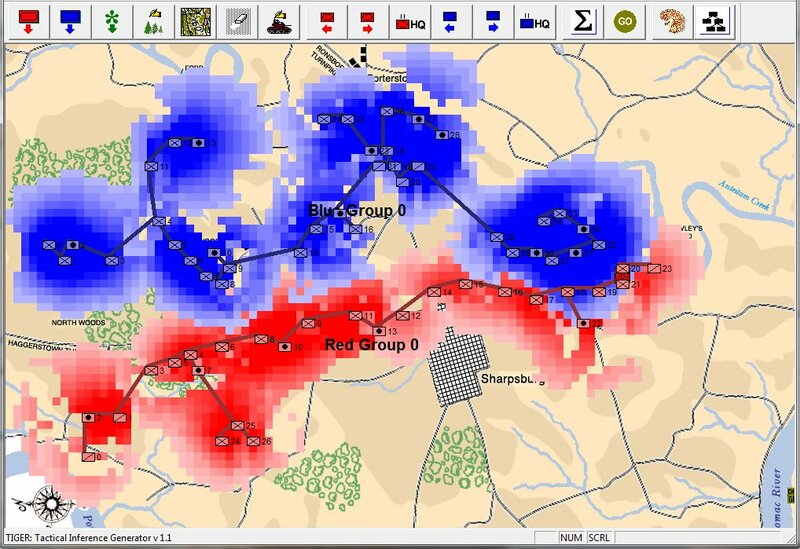 Thinking about replayability for any historical or what-if scenario, does Tiger search for a number of good flank attacks and then (perhaps randomly) select one? Or does it just look for the best one and always choose that? I've only posted Part 1 of the article on AI. We haven't even got to 'infiltration', 'penetration' and 'frontal assaults' as well as 'restricted avenues of attack', 'restricted avenues of retreat', 'choke points', etc. But, the TIGER / MATE AI will always try to do a flank attack if it can get away with it.